The first thing we see in Machete Kills is a trailer indicating that there is indeed a third film, this time in space. It’s kind of like saying there is something to look forward too. I remember when I used to look forward to Robert Rodriguez films. Indeed, even after the only good film he made in a decade was Sin City, I still breathed a sigh of relief when I found he was in charge of Predators. 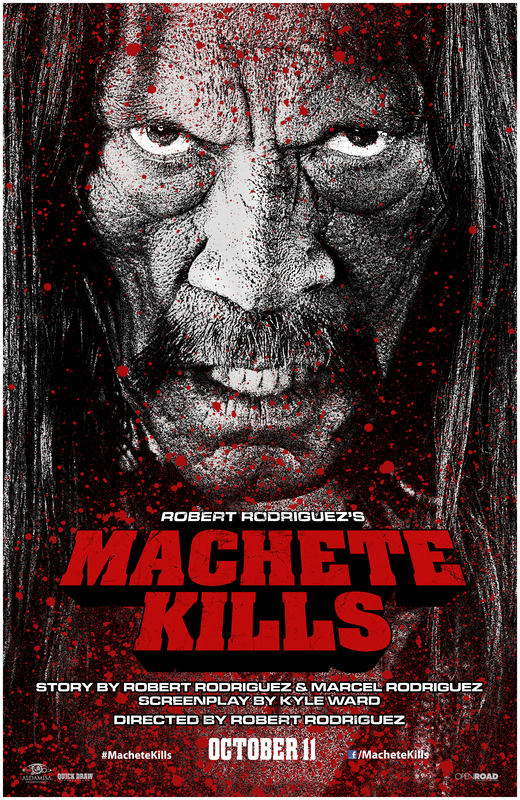 The accidental success that was the first Machete feature promised a decent series, if they could get past the weak liberal political stands in the first film. In Machete Kills, the hope in Rodriguez’ career is almost completely sunsetted. Taking the joke first film just about a mile too far in the wrong direction, Rodriguez has presented himself as a director with almost no talent for storytelling or visual flair. If the general goal of making a second film of a trilogy is to create a stir for a third, then everyone fails completely here. There is no reason to see any more of these passionless in jokes. We get it. Machete don’t text, until he does. Machete never gets whipped, until the right woman or three comes along. And Machete never dies. Even when he painfully lopes away from a massive hail of gunfire, A-Team style. What worked in the first attempt just flounders here. Actors do their best to act like they are not acting. It’s really easy for most to do, except Gibson. He does a good job until the moment he starts speaking to his fellow space travellers. For some reason, Rodriguez did not find room for Lohan’s “character” in this film. If that is what you can call her prominent display of t&a. This film is no better than any of the myriad straight to video releases that Trejo ha endured like the burden of his life. It’s tough to imagine the blessing that has been his career. He’s been down a long hard road. This really is just gravy for him. I only wish it were good gravy once in a while.